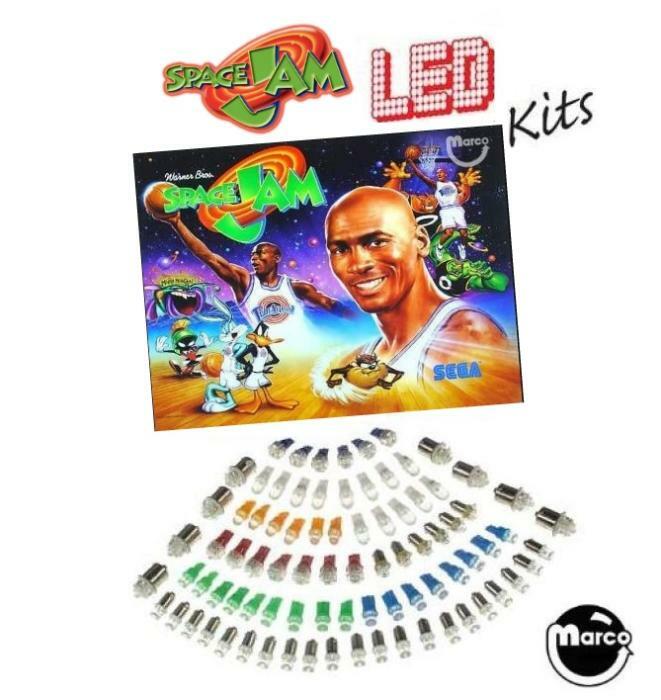 "SPACE JAM (Sega) LED kit" has been added to your cart. Sega SPACE JAM Pinball Machine LED lamp kit. LED Lamp complete conversion kit for the Sega SPACE JAM pinball machine. Includes new, cool, high efficiency, long-life, plug-in replacement LED lamps for all flashers, backbox general illumination, playfield general illumination, and playfield switched feature lamps. This custom LED lamp assortment of colors and sizes has been designed by a consensus of owners of this machine for correct visual accents and balanced illumination. LED's have typical life expectancies of 50,000 to 100,000 hours each. These may be the last lamps your pinball ever needs!